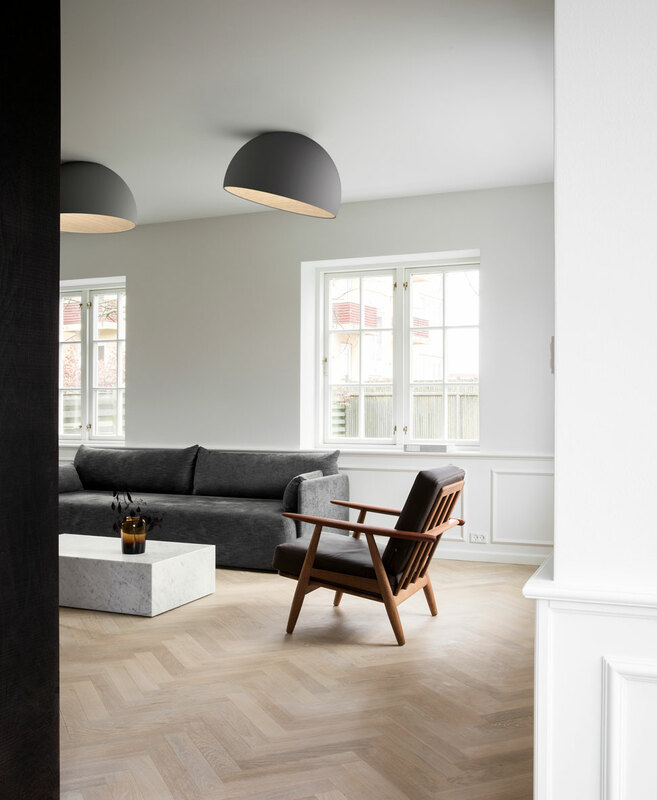 Designed by Ramos & Bassols for Vibia, Duo is inspired by nature. Featuring a wood interior and a gently curved organic form, it exudes a soothing, enveloping sensibility. 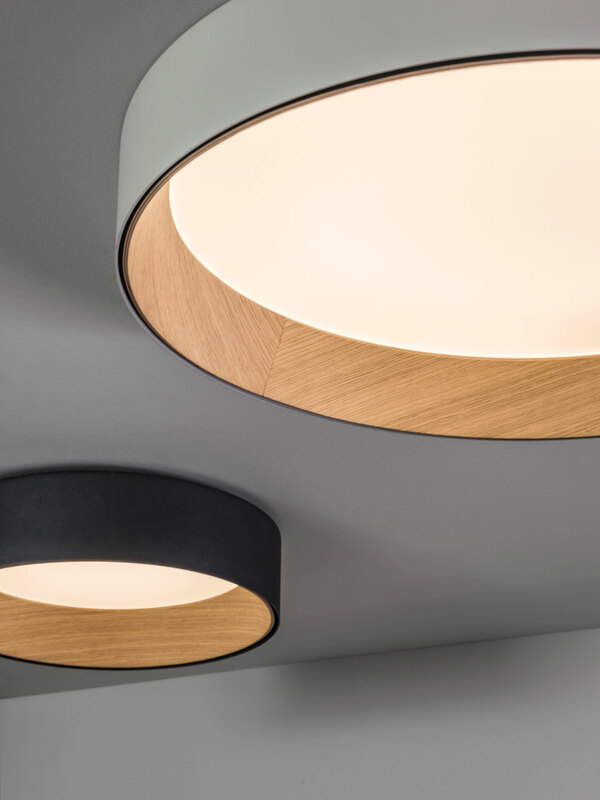 Duo’s simple, circular silhouettes are crafted of a veined oak timber interior that stands in counterpoint to its aluminum shell. This combination of sleek, high-tech metal and richly textural wood creates an intriguing material contrast. The wood lends the LED-powered fixture a warm glow while the exterior ensures even distribution of light. 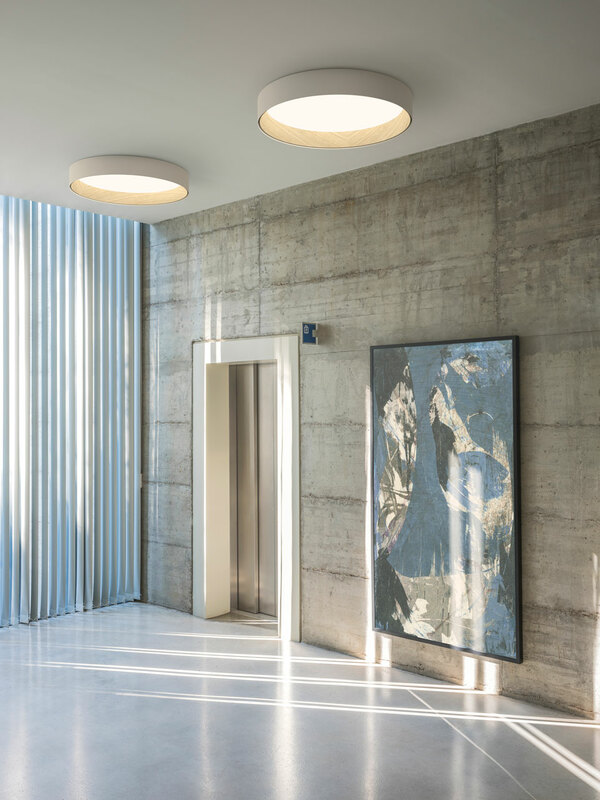 Affixed to the ceiling, Duo integrates into the architecture like a skylight channeling the brightness from outside. 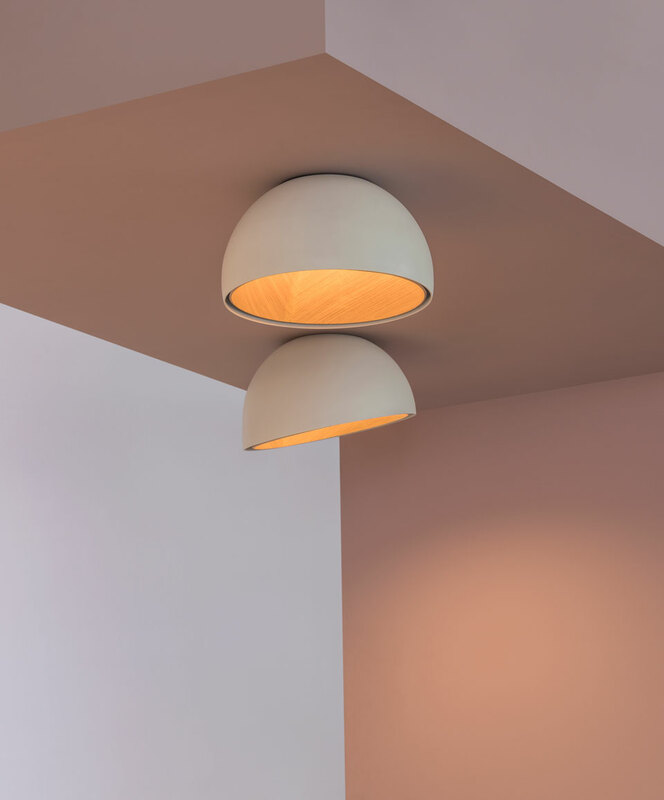 The collection is offered in an inverted-bowl silhouette —both straight and angled options— as well as a large-scale ring shape that rests close to the ceiling. Duo is available in matte graphite lacquer, matte cream lacquer, and matte white lacquer finishes.